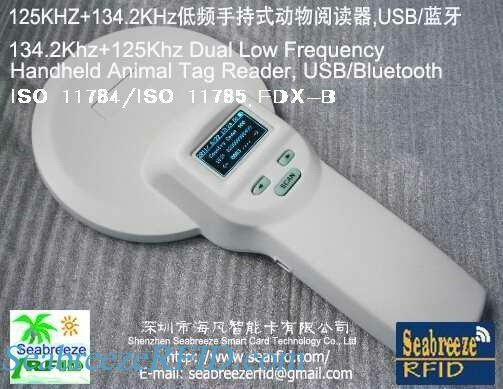 Human body engineering design, feel comfortable, accordance with ISO11784/11785 standard, support FDX-B, support EM4100, EM4102, TK4100 EMID format, etc. 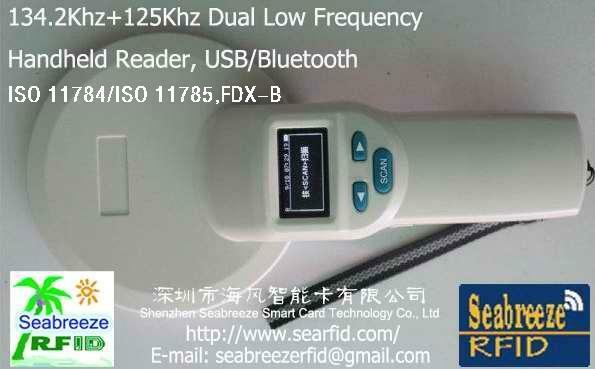 The handheld uses wireless reading mode, support EMID, FDX-B (ISO11784/11785) format RFID tag. Product uses high brightness OLED display, in the indoor or outdoor light conditions can also clearly displayed. The storage to store 6000pcs tags information, users can through the USB cable or bluetooth to store the information output to the computer data management. Products stable performance, simple operation, suitable for animal management, asset management, goods traceability management, railway inspection and patrolling management, etc.